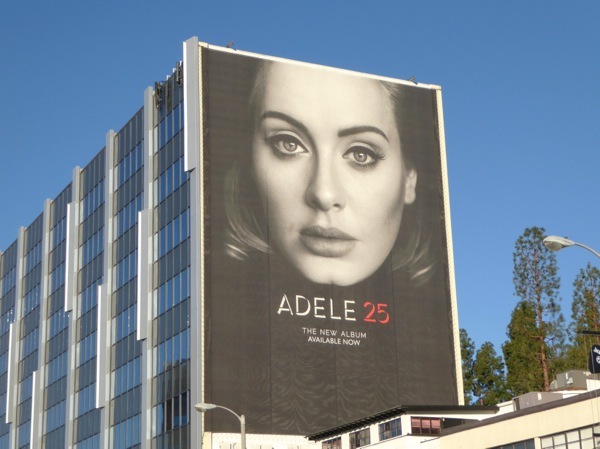 "Hello, it's me", you know that British lady with the amazing voice who's sold over 5 million copies of her new album 25 already. 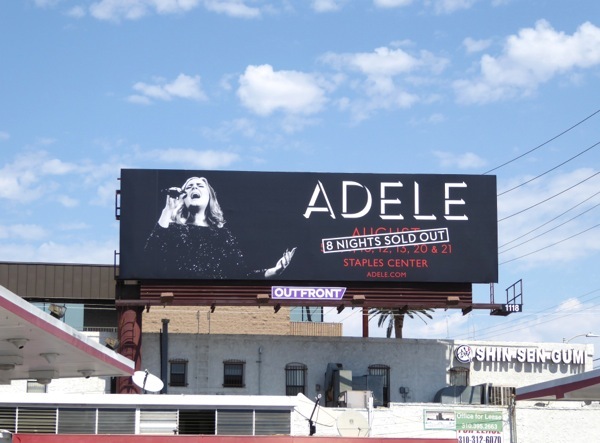 The record-breaking singer was also on the telly last night too in her own one-night-only NBC concert special, Adele Live in New York City. 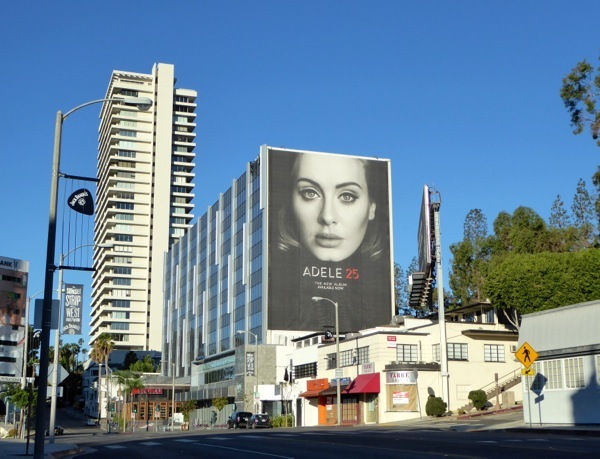 Obviously not content to hog the airwaves, she's also taken to the skies of L.A.'s Sunset Strip to dominate the infamous music haven's skyline. 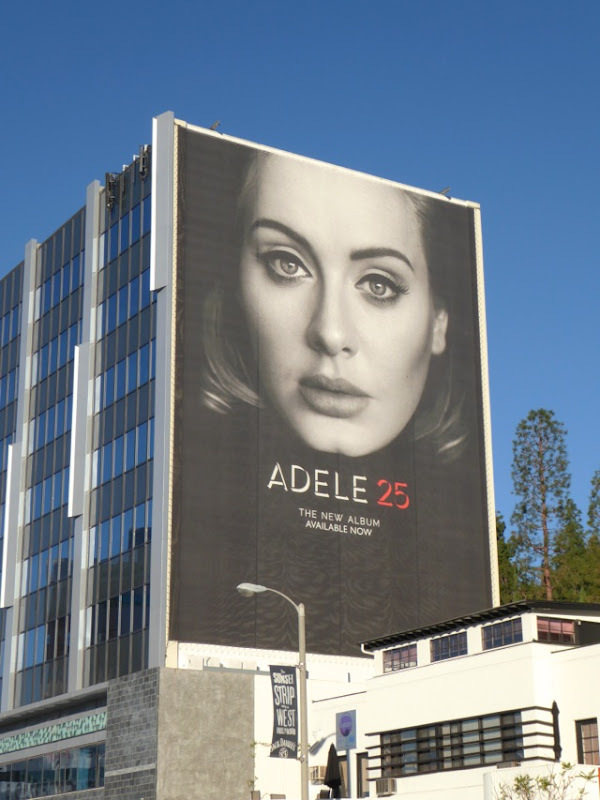 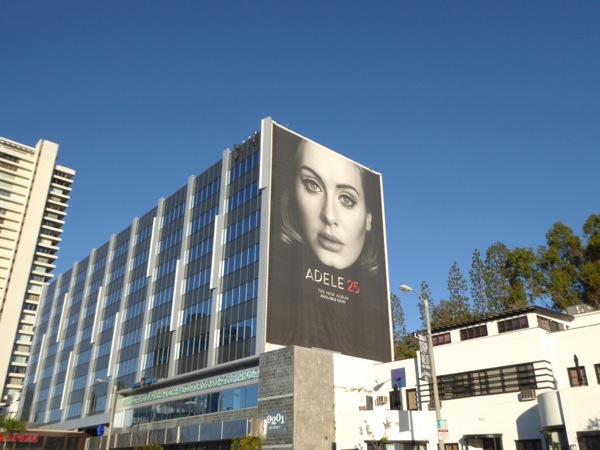 This giant-sized billboard with the singer's soulful eyes and plump lips staring out over West Hollywood's busy Sunset Boulevard was first snapped westbound on December 9, 2015. 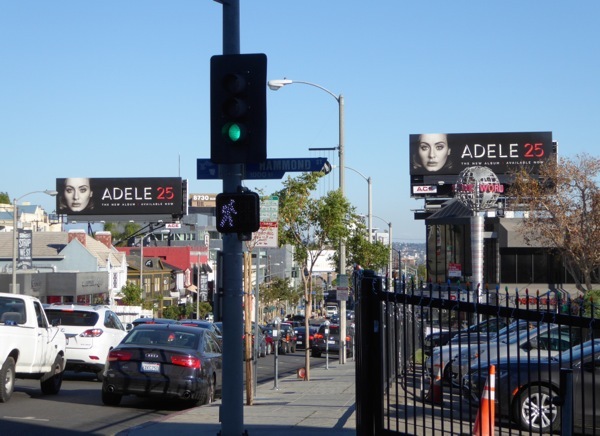 Meanwhile in the other eastbound direction she also had a duo of billboards flanking both sides of the Sunset Strip, one above the iconic Whisky A Go-Go club, so there was no getting away from her - you will buy her new album for someone this Christmas. 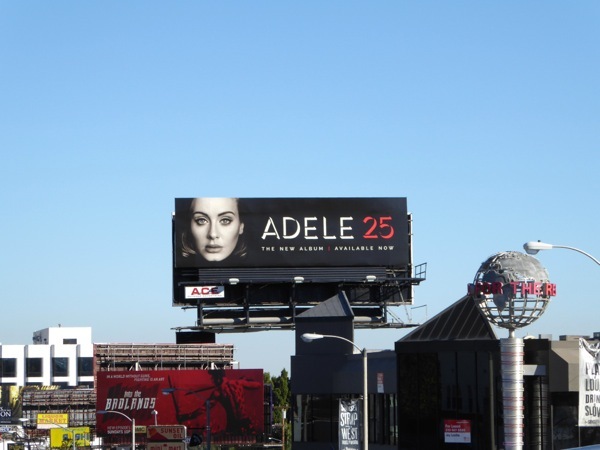 If you have the sweetest devotion to the incredible British songbird, who's added motherhood and a Bond song to her accomplishments since her last album, 21, be sure to also check out this Adele at the Royal Albert Hall concert billboard from 2011. 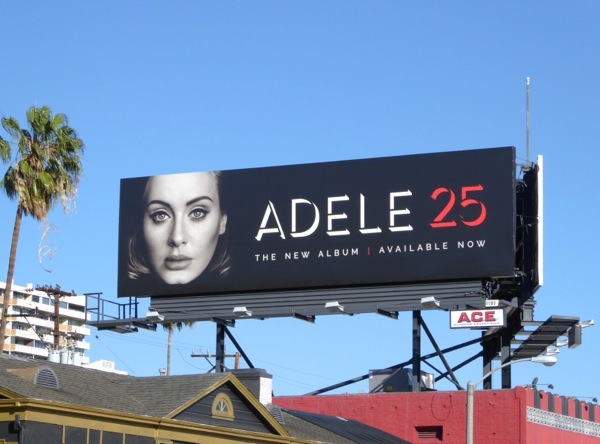 With this, her third studio album having been played on repeat since its release, let's hope Adele's next album doesn't take another four years to write. 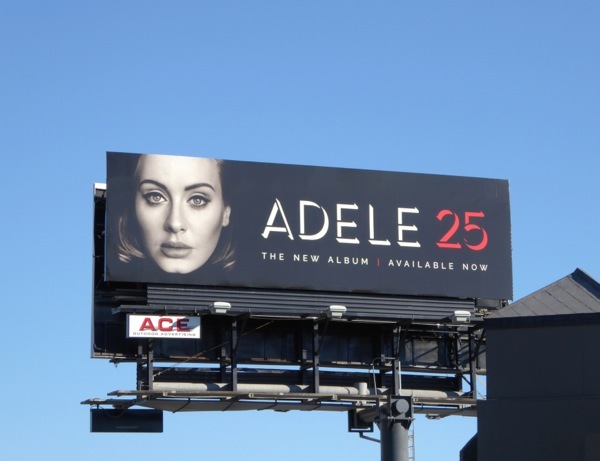 No pressure, love. 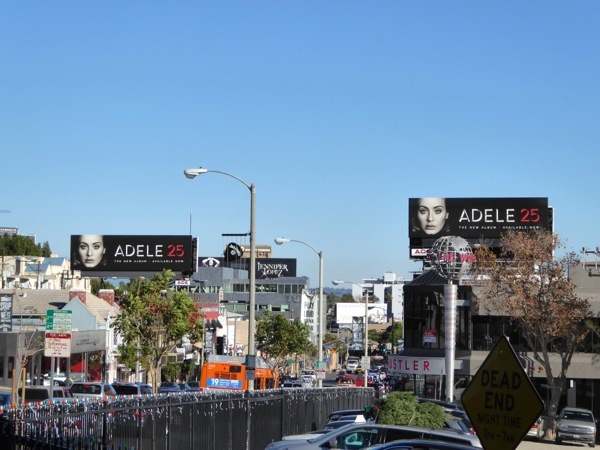 UPDATED: To say that Adele's 25 album was a massive success is a bit of an understatement, with the record selling over 15 million copies worldwide, and now her concert tour is selling out too, at least in L.A. 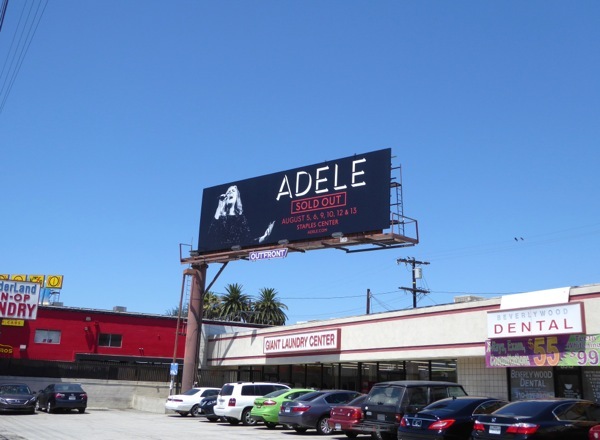 Here's a bold billboard for the artist and her sold out Staples Center concerts in August, snapped at the busy intersection of La Cienega and Venice Boulevards on July 20, 2016. 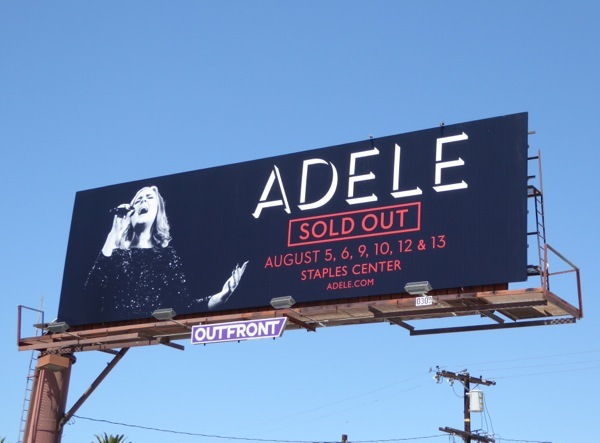 UPDATED: Here's another version of the billboard, snapped along Santa Monica Boulevard in West L.A. on August 22, 2016, heralding that all eight nights at the Staples Center are sold out. 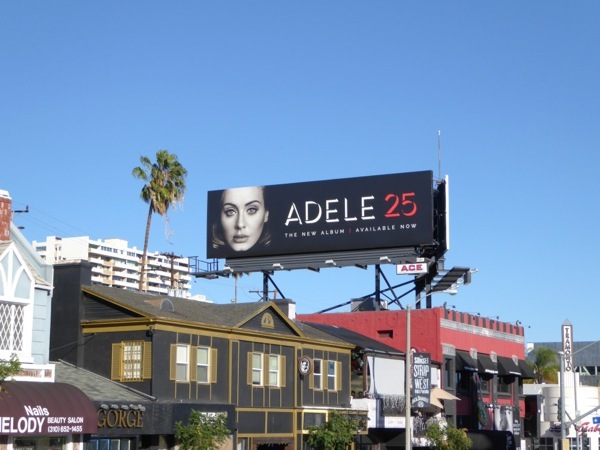 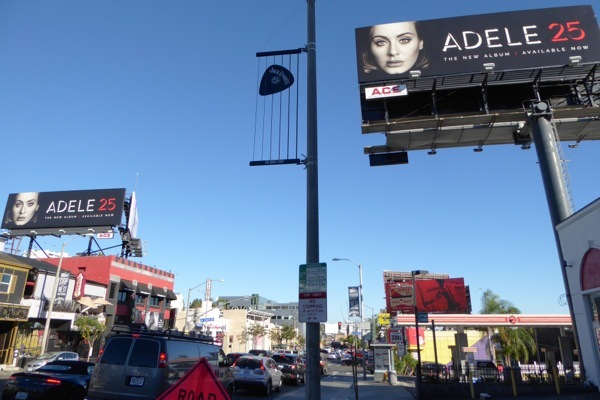 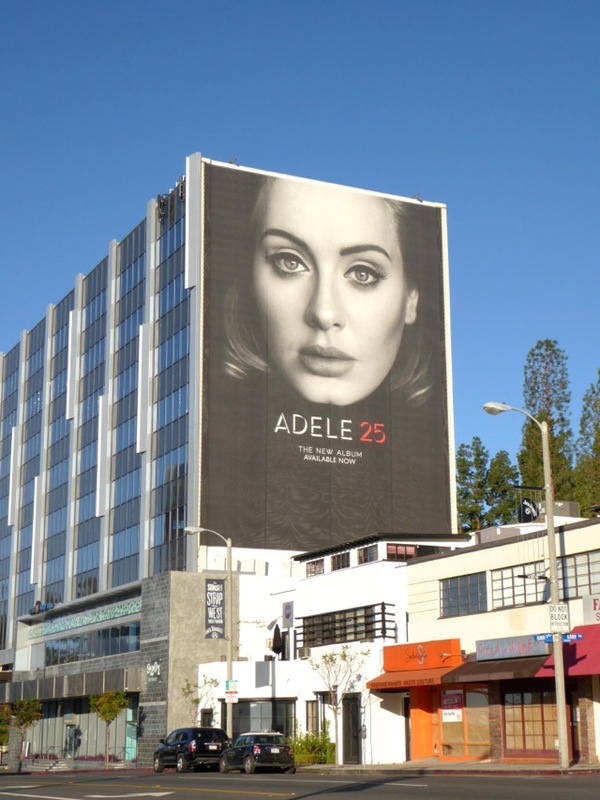 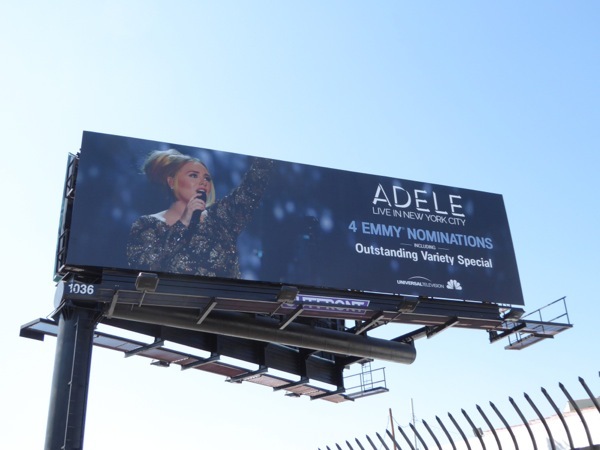 Plus here's an Emmy nomination billboard for Adele's Live in New York City special that aired on NBC, spotted along La Brea Avenue the same day.